The Titanosaur is now at AMNH « Adafruit Industries – Makers, hackers, artists, designers and engineers! The dinosaur doesn’t have an official name yet. For now, it is simply being called The Titanosaur, an enigmatic member of a group of long-necked, herbivorous behemoths. 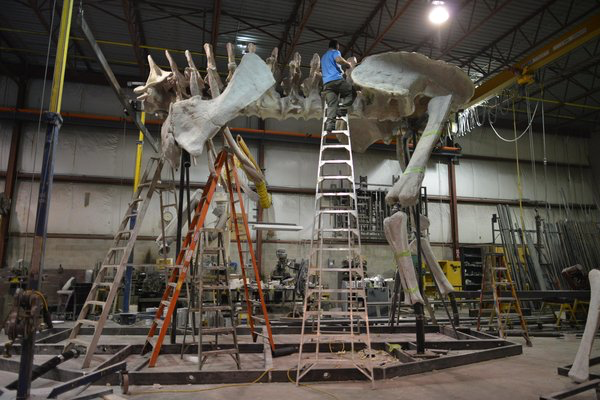 This particular animal has been making headlines since the initial discovery of its bones in 2014, which hinted that the species would be a record-breaker. 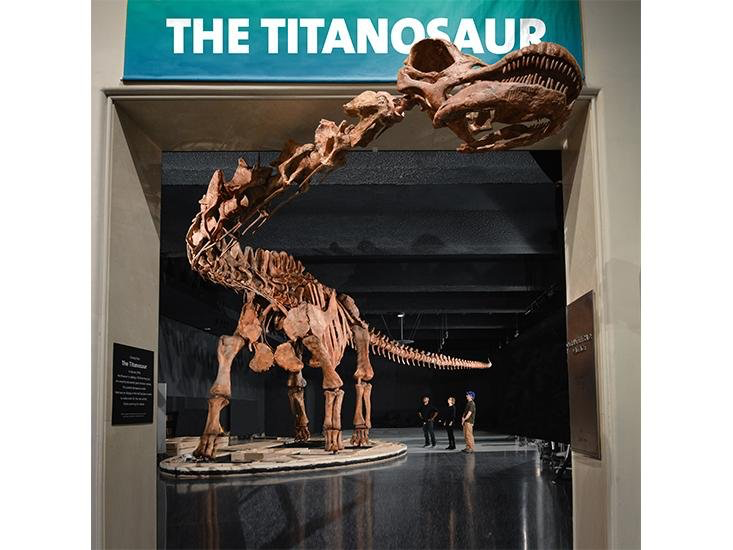 While the scientific details of the find still await publication, one thing is for sure: The Titanosaur is the largest prehistoric creature ever put on display. From its squared-off snout to the tip of its tail, the dinosaur stretches 122 feet, so long that it has to peek its tiny head out of the exhibit hall to fit in the museum.